Evergreen~A Quiet Place, was founded by a group of private investors in 1992. 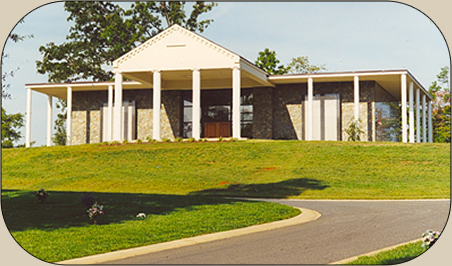 Bill McLean, Jr., was the first CEO and upon his death in 1997, his wife, Eva Ann McLean assumed leadership of the cemetery. The philosophy is simple to treat each family that we see in the way we would like to be treated. The location for the cemetery was chosen for its natural beauty. It contains rolling hills, a stream, and abundant wildlife. We have preserved this as much as possible and have incorporated the calm, the tranquility and the peace of nature into Evergreen~A Quiet Place. we are only minutes from any location in Gaston County. * To keep the cemetery in as natural a state as possible. to keep the grounds manicured and presentable at all times. * To provide quality products and services at eh best price possible. * To embrace the whole community. * To provide the very best customer service possible.